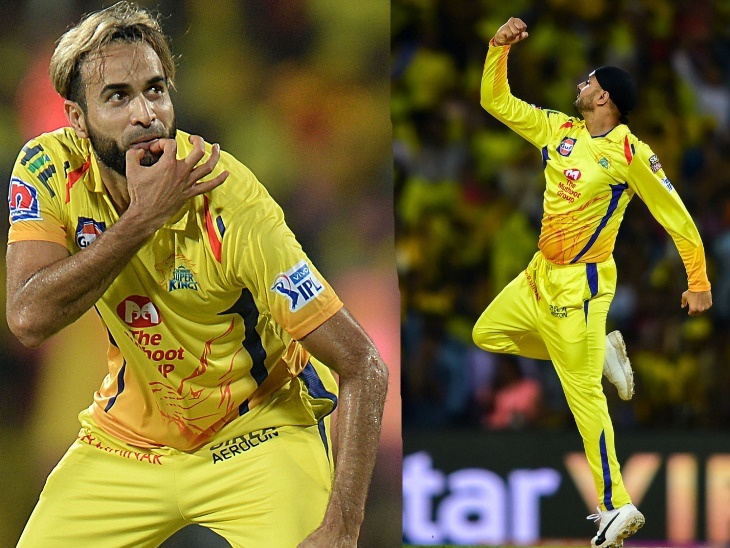 Harbhajan Singh and Imran Tahir have proved that age is just a number, feels Chennai Super Kings captain Mahendra Singh Dhoni, equating the spinners with fine wine for the way they have matured. The inspirational CSK skipper, himself 37, was effusive in his praise for the duo after CSK's seven-wicket win over Kolkata Knight Riders here on Tuesday. The 38-year-old Harbhajan (2/15) and the 40-year-old Tahir (2/21) were the key performers for the home team. "Bhajji (Harbhajan) has done well in whatever games he has played. I have fallen back on Imran (Tahir) whenever needed and he has come up with very good performances." Overall, the bowling unit looks good. But once we play on better and flatter wickets with smaller boundaries, we will have to see what is the best combination to play with," he added. Dhoni picked Tahir for special praise, saying the South African is someone on whom he can depend no matter what the situation. "I have fallen back on Tahir and he has done the job. He has confidence in me. He has got a very good flipper," he said. "He (Tahir) is someone who if you tell that this is the right pace to bowl on, he does it most of the times. He is someone who deceives the batsman quite a few times.